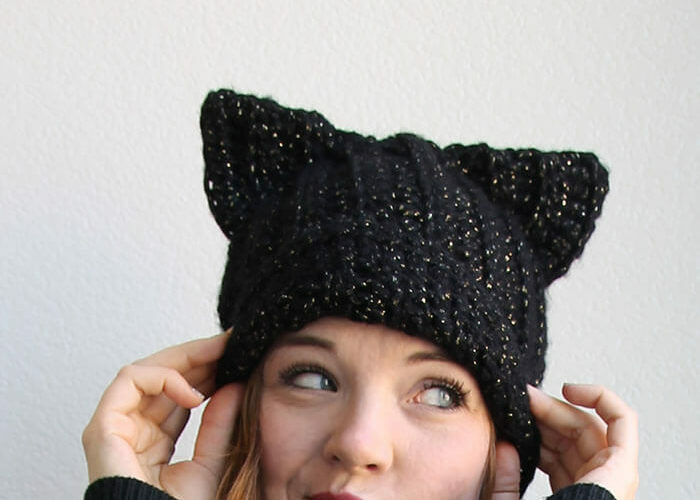 *This project was originally shared by me at Yellow Bliss Road. 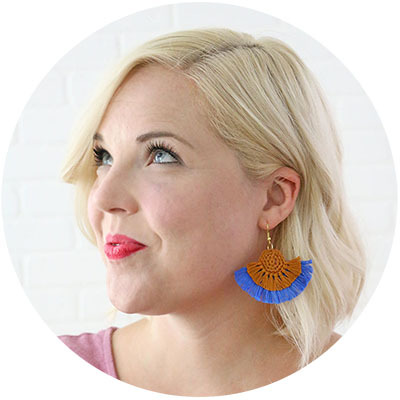 This post also contains affiliate links, which help to support Persia Lou. Thanks! I have really been enjoying practicing my script lettering, and I have another fun free printable for you all today that puts it to use! 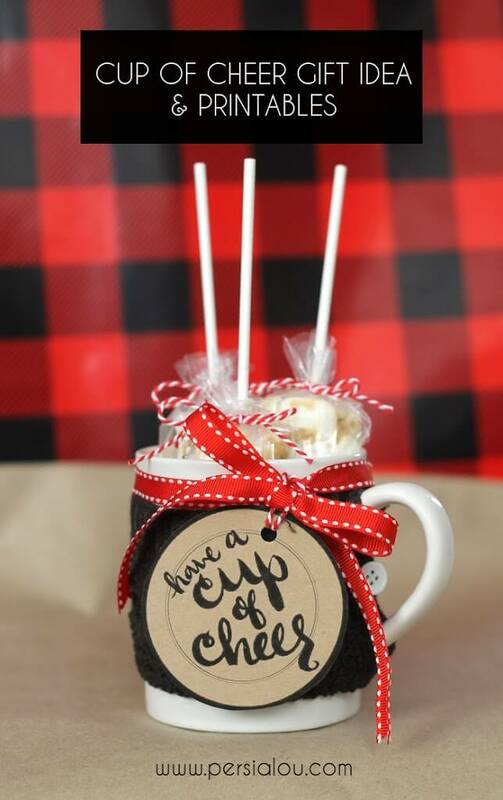 This printable pairs perfectly with the hot chocolate on a stick I posted recently, and makes a perfect little teacher or neighbor gift. If you don’t want to make your own hot chocolate on a stick, I’ve noticed that hot chocolate on a stick is available more widely in stores too. 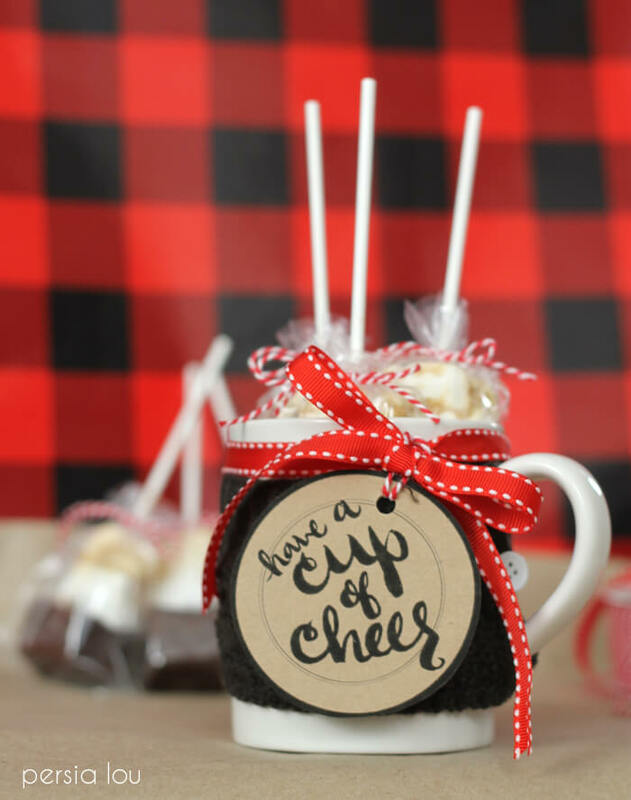 So whether you want to make homemade hot chocolate on a stick or buy it at the store, this is a fun way to package it up into a special gift. 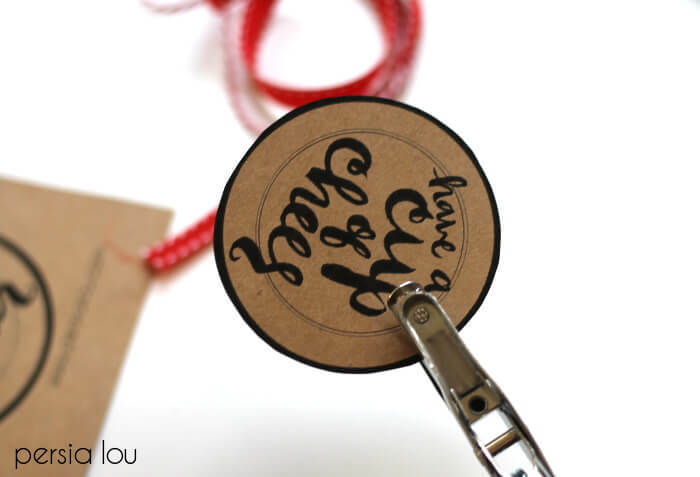 Finally use ribbon or twine to attach the tag to your mug. 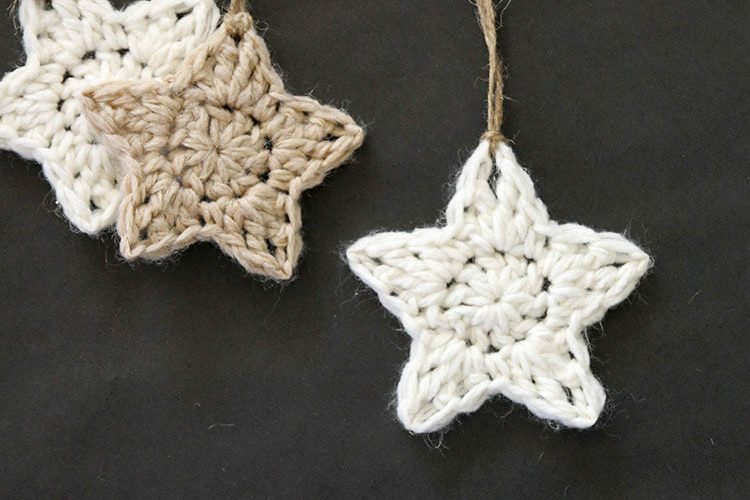 And that’s it – it’s all ready to gift! 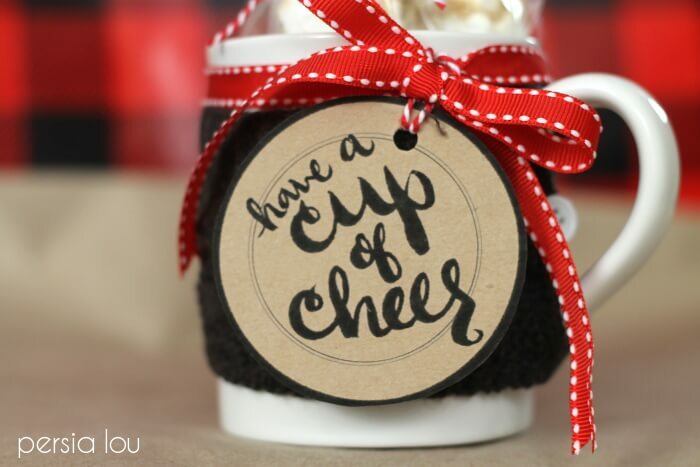 This sweet little cup of cheer would make a great gift for friends, neighbors, teachers, and babysitters. 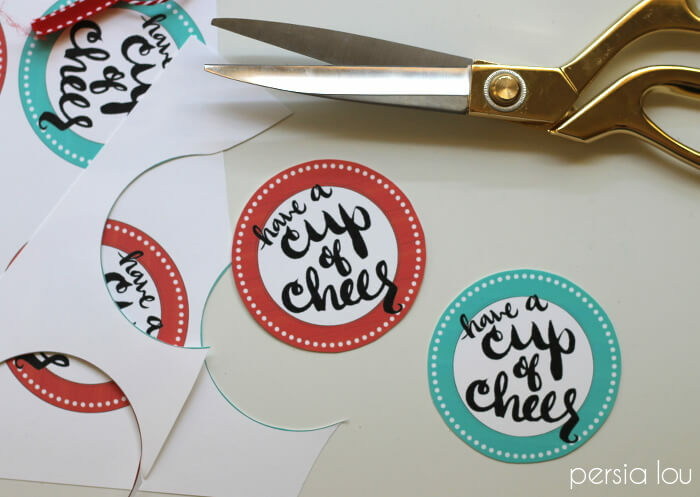 Plus – these cup of cheer tags could work for any kind of gift in a mug or beverage-related gifts. Happy Gifting! 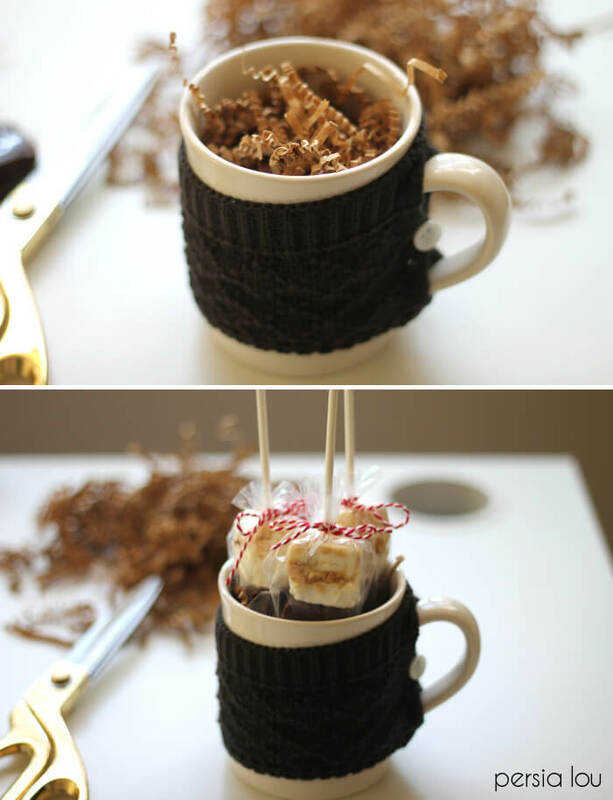 Do you make the cute knit mug, what are they called? Like a koozie? 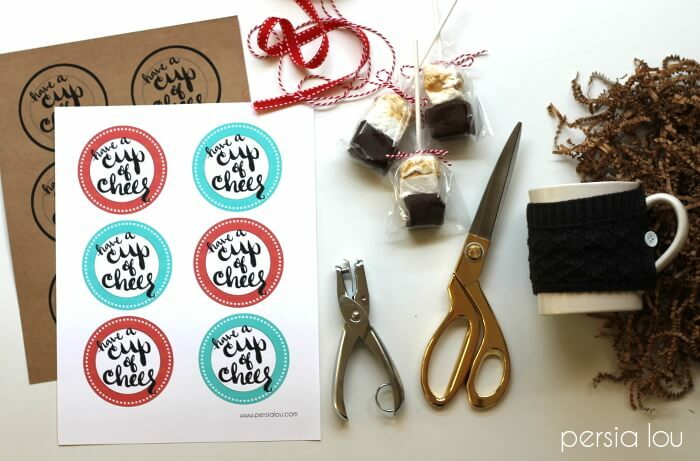 I love this idea for small christmas gifts, pinning for inspiration!